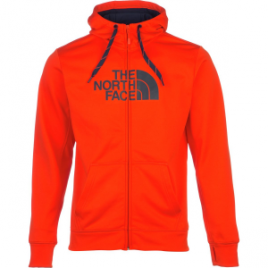 The North Face Men’s Surgent Lightweight Half Dome Full-Zip Hoodie feels great on or off the beaten trail. Its polyester fleece warms you up in chilly weather and breathes so you can hike comfortably. Plus, the Surgent shields your skin from the sun’s harmful UV rays.